Have your kids started school yet? At our house, we are just getting back into the routine of the school year. That means preparing for the next day, going to bed earlier and getting up earlier. It means doing laundry and grocery shopping on a more regular basis. It means potential craziness and chaos in the morning. But, I’ve found a few ways this year to make our school-day mornings less hectic. Want to hear? There’s been a lot of discussion on my Facebook feed about “helicopter parents”. In the book, “Parenting with Love and Logic”, the authors define helicopter parents as those who “hover over and then rescue their children whenever trouble arises. They’re forever running lunches, permission slips, band instruments, and homework assignments to school.” But these parents, the authors argue, are not helping their children in the long run because, “the real world does not run on the bail-out principle.” Have you seen this on Facebook? What do you think? I’m torn. I have to admit that I don’t want my daughter to have to suffer at school if she forgets her glasses or the right shoes for PE. What I do want is to teach her to be organized enough to remember (90% of the time, anyway) necessary items. Yes, she can problem-solve if she does forget something, but the goal is to not forget in the first place, right? It’s a win-win. She’ll have what she needs and I won’t be making that drive to school or worrying. 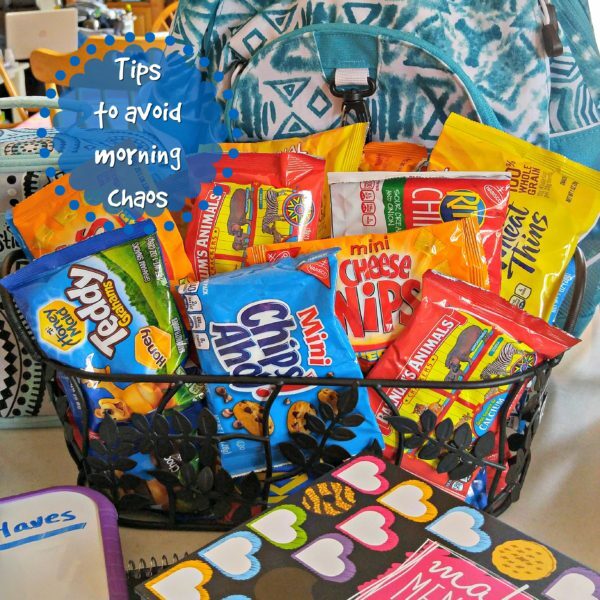 The first simple way to take some of the chaos out of school day mornings at our house is my “Must-Haves” list. The ten minutes or so before heading out the door can be crazy with everyone running around looking for things and inevitably something important would get left behind. Here’s how to create your own “Must-Haves” list. Sit down as a family and list all the things that need to be ready on a school morning. Not the minutia, but the things that would result in a drive to the school or a failing grade. For example, my daughter’s school has given all the kids a planner, where they write their homework assignments down and then check them off the night before, but in the past, we’ve left the whole folder at home! It’s important that you make this list with your child. Don’t take the responsibility on yourself, it is ultimately their responsibility, but guide them in ways to make it easier on everyone. We use a dry erase board and marker for our list. It’s helpful if it’s something easily erased and modified. So, if my daughter comes home and says she needs to turn in a permission slip tomorrow, I can say, “write in on the must-have list, so we won’t forget”! With a dry erase board she can easily write temporary items and erase them the next day. Kept on the back of the door, she checks it every day before she leaves the house. And don’t forget, “Hug and Kiss” should be on every kid’s list! If you have more than one child, I have two words for you. Color code! Color coding makes it quick and easy to spot and identify the responsible party and ownership. Make your lists in different colors. Use different color name labels. I even saw a fun tip the other day to color code notebooks so you can tell whose is whose, when the notebooks are in a stack. Just color the top of the notebook on the pages with a 1-inch mark. You won’t see it on individual papers, but when you look at the book as a whole, it will show up. Another thing we have started doing when any of us needs a packed lunch or snack is including a Ritz, Teddy Grahams or Nabisco snack bag. I keep a basket of Ritz, Teddy Grahams and Nabisco snack bags in the pantry and whoever is making lunches can grab their favorite. My daughter has a snack time at school and these are perfect. 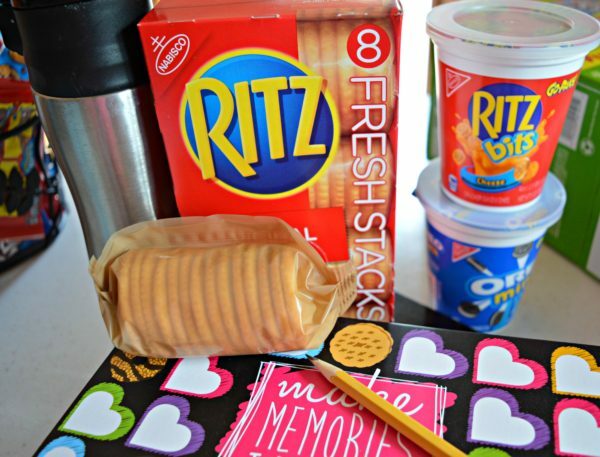 Ritz, Teddy Grahams and Nabisco snack bags are my back-to-school solution. 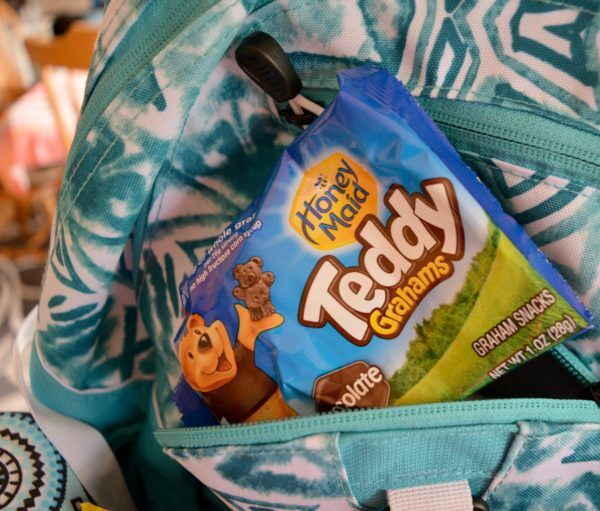 She can grab one from the pantry and throw it in her pack back – ready to go. I found a great deal on Ritz, Teddy Grahams and Nabisco Multipacks at my Kroger store. Kroger had them all together in one place to make it easy for me to find the perfect solution for our back-to-school needs. 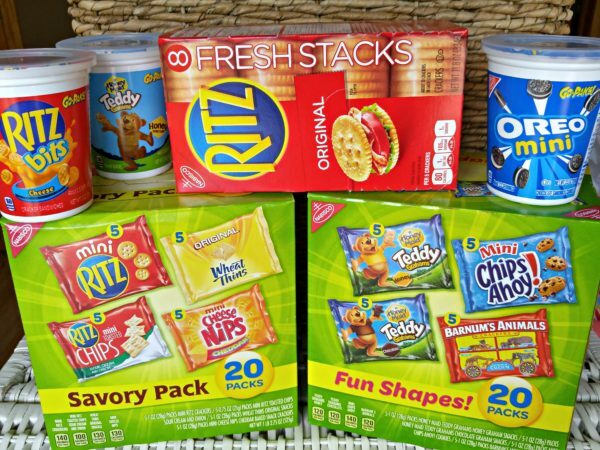 I picked up the Multi-packs that work so well for school snacks, the Ritz Crackers Fresh Stacks for lunches, and the snack cups that fit perfectly in our minivan cupholders for after school snacking. With the great prices, I stocked up and we will be ready for anything! The bags you find in Ritz, Teddy Grahams and Nabisco Multipacks at your Kroger store have snacks that are bite-sized (cute little cookies and crackers!) and kid-friendly. They won’t be coming back in lunch boxes at the end of the day! 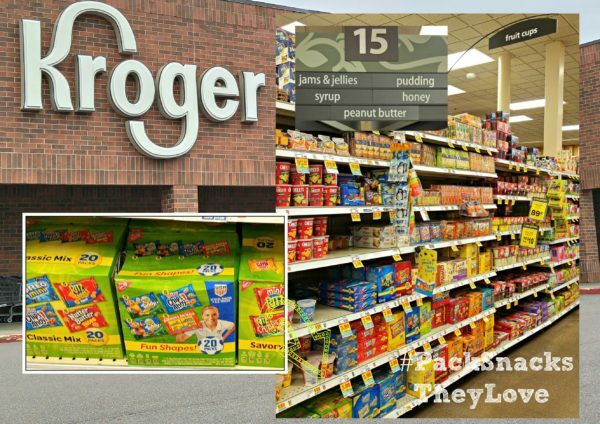 Head to your nearest Kroger store for snacks your kids will love. Do you have any tips to reduce morning chaos that have worked at your house? Really like this article, Good read. Organization is the key to combat chaos. I am always happy when the kids go back to school but when they are there I really miss them! Great idea for the dry erase board on the front door! My daughter is very regimented with getting her three kids off to school. They have a routine they follow every morning & her husband & I just stay out of the way so we don’t cause her to forget something! lol She has boy/girl twins in preK & another daughter in 2nd grade so it’s pretty crazy in the mornings here! I love lists, they’re so helpful, and having one right there on the front door is a great idea. It’s always right as you walk out the door that you forget something after all! These are al my grandsons’ favorite snacks, too! We keep a dry erase board on our fridge with things my grandsons need daily so we don’t forget. The list of what to take to school is a great idea! I like the dry erase idea though, so you can add or change it as needed. The “must haves” list is a great idea! Someone always ends up forgetting something. Love all the ideas on this post. The dry erase board is an excellent idea for an out the door checklist. Great tips here for me – and I don’t even have kids! How can you stay so organized??? I could write all that down, but you know how kids are. They just walk right on by it. I have to check them for the checklist. LOL. You know it is something new everyday. 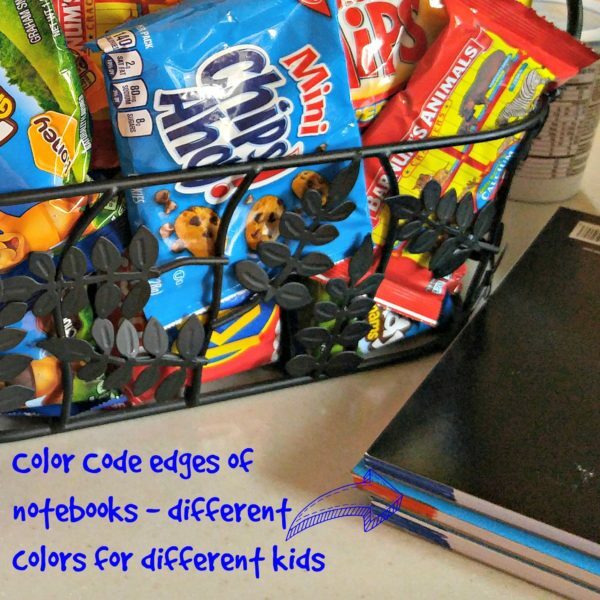 I love list you have for your child in the morning and the snack station is nice! These look like amazing snacks. i love the whiteboards with the morning lists. This must help out so much! These are all good tips. When I was going to school I did something similar with the daily list. This was a good read. I like the morning list. We set out clothes the night before and have backpacks and shoes by the door. I like your idea of the dry erase board, too! If my daughter forgot something like shoes or homework I’d let her deal with the results her self. However if she didn’t have her lunch I would makes sure that she got it. We both prep everything that we can the night before school, and it’s helpful. These are some really great tips! I love the idea of using a dry erase board. This would definitely help keep my family on track and organized! Love the article! The best tip is the color-coding. I don’t know why I didn’t think of that back in the day when my kids were in school. It would have saved a lot of crazy-making! I think its more age related also, if my 8 year old forgets their lunch occasionally, maybe once or twice a year, then why can’t I bring it to them? 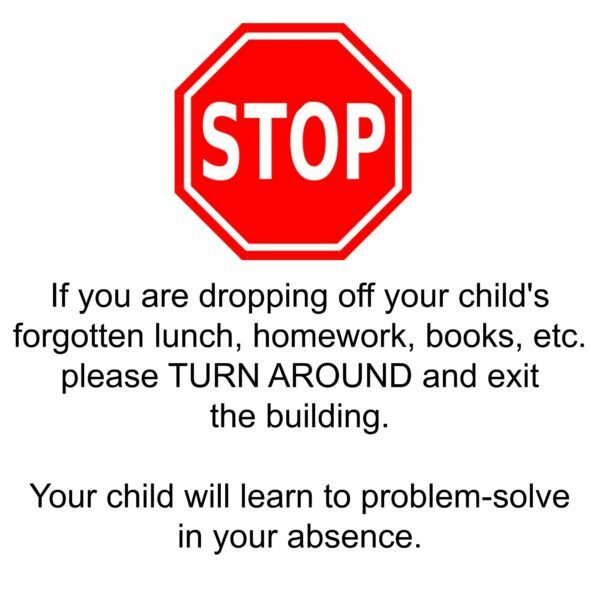 Why should this “sign” they posted be for everyone if its only a few parents that are constantly bringing their kids items to school? I guess I just dont understand why its such a big deal if you bring a kids homework or book to school, I have had it done and I have also had my mom tell me too bad you should have remembered it. Preparation was key for me when my kids were little. I’d prep everything the night before, especially lunches. Like your ideas. The dry erase is a great way for kids to “check” off everything, but, lets face it I don’t like the sign because we all forget things. Sometimes it isn’t even the child’s fault. But back to your list, love the idea of having Hug and Kiss on there. So important!!! Good ideas! I can’t agree with the sign. Everybody forgets something every once in a while. Do they have a policy for the teachers? Love the idea of the dry erase board. Thanks for a great idea. moms with toddlers/kindergarten child mostly have sepanx just like me but I agree that we should let them learn and solve problems on their own at school. I really like this post. 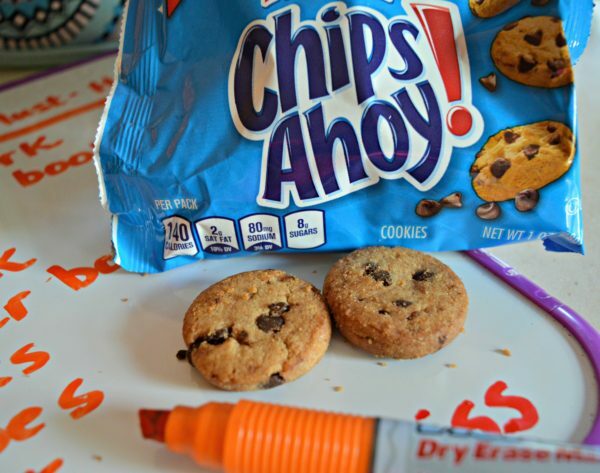 These are great tips (and snacks)! We prep the night before. My son makes his lunch while I clean up for dinner to make the morning run more smoothly. 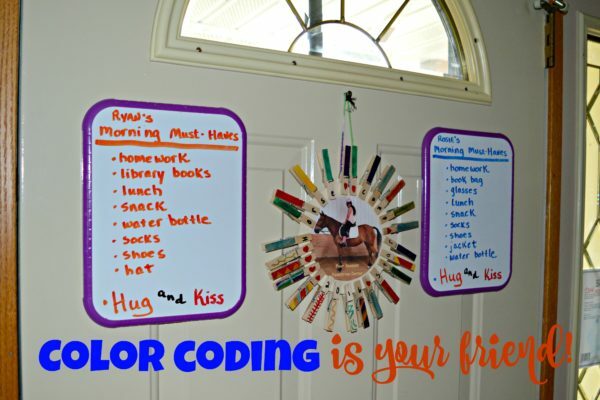 Love the dry erase board idea! 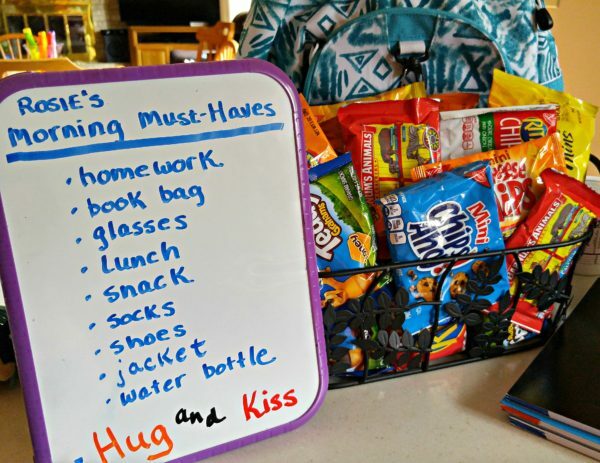 I have 3 kids to get ready in the morning i find myself repeating myself over and over trying to make sure noone forgets anything this would be perfect for us because then I could just ask did you check off your checklist! I have everything organized and ready to go. Clothes are laid out, book bags packed, and showers are taken the night before. I’m fine with reminding them or asking them while we are in the house or like you did with the board, but after that it is up to them. After a while I think I would even have them write their own lists on their boards. That’s a great idea. For me, I have to get everything ready the night before. Aww I love this idea of the color coded list on the back of the door. Will have to try this out! great tips! we set out everything the night before… and pick all clothing for the week on sundays! These are excellent tips. I love the whiteboard list idea. Thank you for sharing. Some yummy looking snacks here. Adults can enjoy these as well as kids. I love the idea of a must-have’s list on a white board, very smart! With kids so young they’re still learning how to organize, how to know how to – I think of helicopter parenting as essentially doing it all and not enrolling your kid in the process. I like the must have list. Especially being posted before they get out the door. In our home we get everything ready the night before. Cothes, socks and shoes are in the bathroom for after showers, backpacks, jackets and homework are by the door and lunches are placed beside breakfast plates. It has always helped us have a smoother morning by having this routine. I love that schools are stopping those “helicopter” parents. We really need to work on making our kids accountable and not bailing them out. If they don’t learn now, they will never learn! Excellent post! 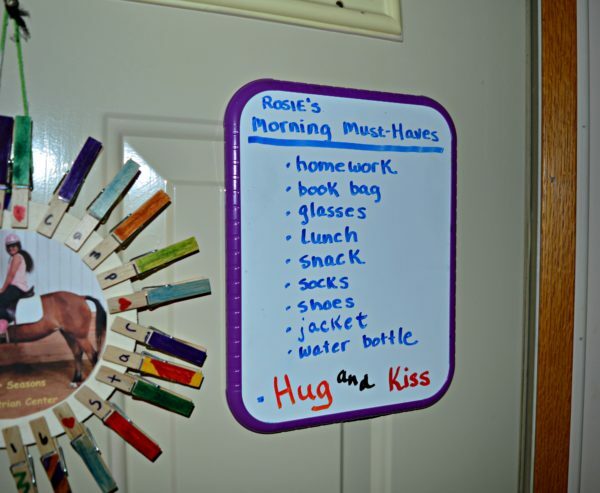 I love the idea of hanging lists on the door and having snacks ready to grab on the go. My kids are all grown now, but I wish I had these suggestions when they were in school. 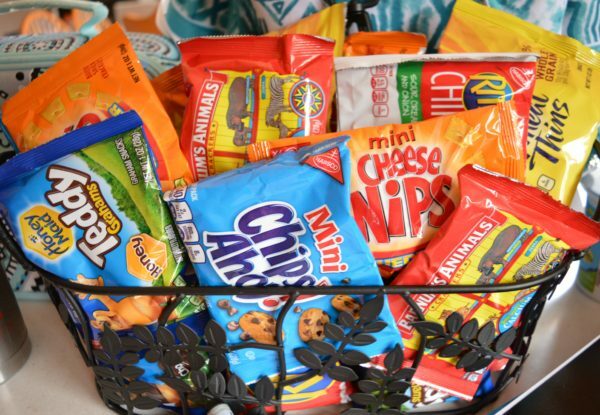 I think that the must haves in my family are the nice snacks. Nothing can do a day better than a nice nibbler. There are some really neat ideas here! I don’t have any children of my own, and so I don’t have any tips to share.